On June 3, 2008, two children living in a small house overlooking a lush valley in Guaimaca, Honduras were murdered by four criminals. Jennie Lizeth Lopez (12) and her brother, Karlin Adali Valdez (10) were victims of a needless and brutal crime. Paul Lukez Architecture visited the original location where these horrendous events occurred and met with local community members on how to best memorialize the lives and spirit of Jennie and her brother Karlin. The hillside community of La Nava embraced the idea of building a structure on the footprint of the original house. Over 65 family members helped build the structure. In addition, PLA was able to raise $30,000 for materials and specialized labor. The new structure designed by PLA has three interior spaces; a multi-use community space, a chapel and a rest room. 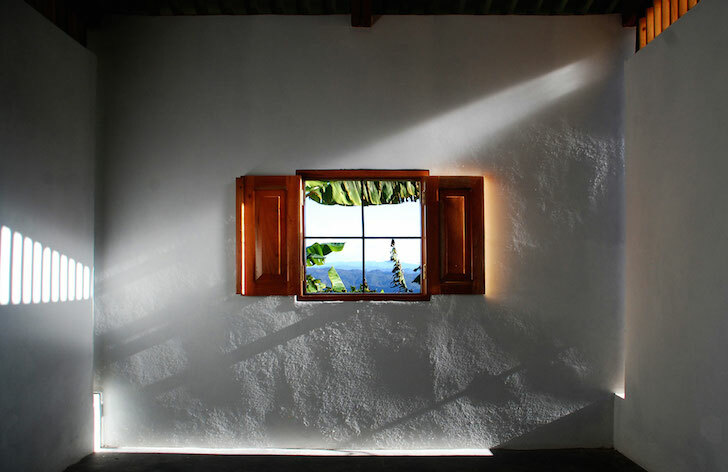 Simple means of construction mined from the local vernacular helps create a space of peace and meditation. Light and nature work their wonders, as the space becomes a place to collect and filter impressions, experiences and memory.